Preventive maintenance is the process in which skilled technicians and engineers perform regular maintenance to large pieces of equipment or assets in order to prevent any unnecessary downtime. In order to keep everything running smoothly, these maintenance professionals need access to data, such as how often the equipment has been used, the last time it was repaired, as well as the typical lifespan of the equipment. That’s where a computer maintenance management system or CMMS comes into play. A CMMS stores and logs all the need-to-know information regarding the overall performance of a certain piece of equipment. Learn more about how computers have radically changed the preventive maintenance industry. Before anyone even knew what a computer was, preventive maintenance was largely carried out using paper forms and a pen or pencil. These documents were then filed away in the office file cabinet. The maintenance engineer would have to rummage through this mass of documents in order to get a sense of how the piece of equipment has been performing over the last few months, years, or even decades. In hindsight, this process was extremely time consuming. Companies started incorporating computers into their operations in the late 1980s and early 90s. This radically improved a company’s productivity, output and organization. Suddenly, a company could use a computer to store and organize all their documents, including work orders, downtime, equipment performance, maintenance logs, product information and warranty. Preventive maintenance engineers could now sort through years of data in just a few minutes, giving them the freedom to focus more of their time on preventive maintenance and less on sorting through paperwork. In today’s world of reliability engineering, maintenance professionals face higher expectations. A company’s main goal is to reap as much profit from a piece of equipment while spending as little money as possible on repairs, maintenance, and overhead. With the time and cost-saving benefits of a CMMS, engineers should be able to produce long-term data analysis at the drop of a hat. All this information can be used to better understand the many innerworkings of a large piece of equipment or machinery, with the goal of reducing downtime by any means necessary. Now maintenance engineers can turn their attention to what’s known as preventive maintenance or even predictive maintenance. Faster access to information gives engineers the ability to see into the future, giving them the tools they need to reliably predict when a piece of equipment will most likely fail and when it will need to be repaired. The company can then adjust its workflow to accommodate any scheduled downtime. This is a much more efficient way of working as opposed to a group of engineers reacting to a piece of equipment’s sudden, entirely unexpected failure. 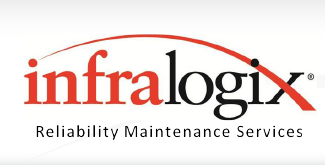 If you’re looking for preventive maintenance solutions for your business, contact the professionals at Infralogix, serving the entire state of Virginia, including the greater Richmond, Tri-Cities, & Hampton Roads areas. This entry was posted in Preventive Maintenance.